Dave Chappelle, world-renowned comedian and Hollywood actor, will perform his live stand-up show at the Dubai World Trade Centre on November 20. Creator of the comedy television series Chappelle’s Show made his triumphant return to stand-up comedy in 2013. Chappelle received an Emmy Award in 2017. And in 2018, he received a Grammy for his show for Netflix – The Age of Spin & Deep in the Heart of Texas. 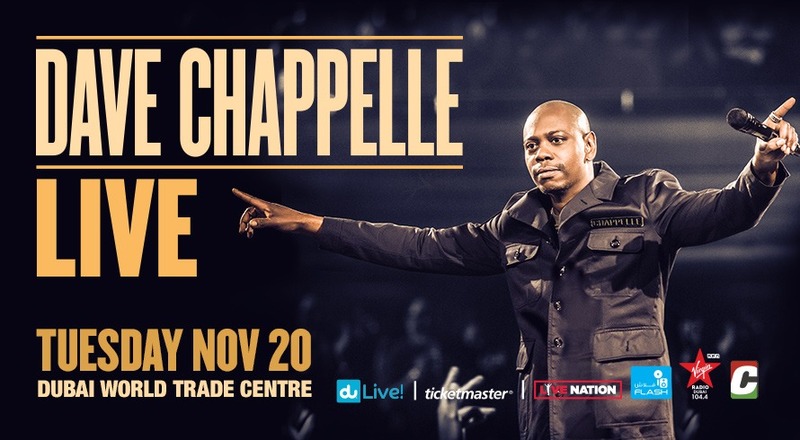 While he’s beloved for his famous impersonations of Rick James and Prince, Chappelle doesn’t rely on old material for his stand-up act, treating fans to an all-original show featuring extensive improvisation as he interacts with audiences.